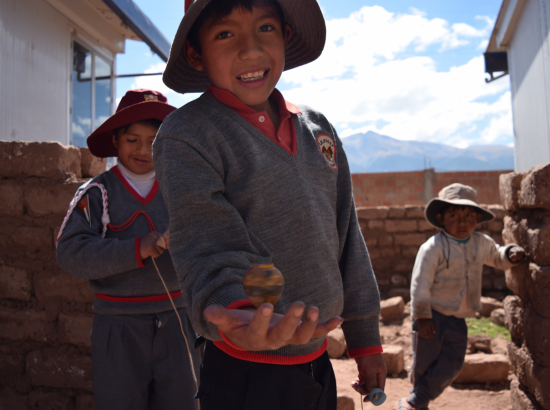 Conservation of environmental resources through construction and education-related initiatives in the Cusco region. Enhancing fair trade practices to complement the conservation efforts in indigenous communities in two main areas: community tourism and traditional weaving. An English literacy program at school and another targeted to the tourism entrepreneurs complements the program. This program is organized by Global Vision International (GVI) in collaboration with DukeEngage. Curricular Connections: While all students are welcome to apply, this program may be of particular interest to students studying environmental science, public policy, education, urban planning, economic development, agriculture, or anyone who has an interest in community development and the promotion of traditional arts. Cynthia Arochi, Regional Director for Latin America, has been working with GVI since 2005. She is a licensed veterinarian who also holds a Master’s degree in International Environmental Science. She manages GVI’s Latin American operations in Costa Rica, Mexico and Peru by supporting staff and monitoring the quality of programs, training, health and safety measures, and oversees all aspects of in-country operations. Alicia Guzman Leon, Program Development Manager for Latin America, first worked for GVI in Guatemala in 2007 and recently returned to lead GVI’s program development in Latin America in 2017. She holds a PhD in Public Policy from the Instituto Tecnologico de Monterrey (ITESM) and was a Fulbright Fellow in Public Policy and Sustainable Business. Alicia has experience implementing environmental research projects and international development programs in Ecuador, Peru, Central America, Mexico, and the United States. She will oversee other GVI staff who may be involved with the university group. Melissa Torres, Vice President of Institutional Relations, United States, works with colleges and universities to develop innovative, service-learning, internship, and volunteer programs. Melissa has worked in the international education field for almost 20 years, including time spent at three universities: Brown University, UNC-Chapel Hill, and Ohio State. She holds a BA in International Studies from Stonehill College and a Master’s degree in Global Education from Ohio State University. 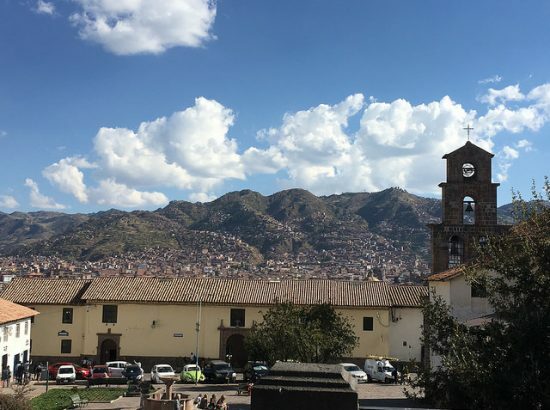 During their two months in Cusco, students will work closely with a number of local partners and will be involved in a variety of conservation, education, and community development activities. 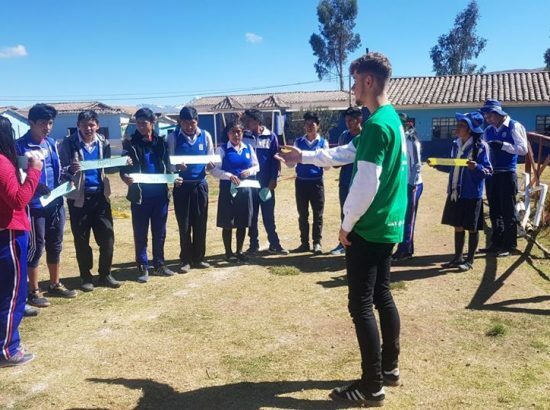 The first few days will involve orientation to the city and surrounding communities as well as educating students about the local culture, including the socio-cultural, historical, economic, and environmental factors affecting the region. 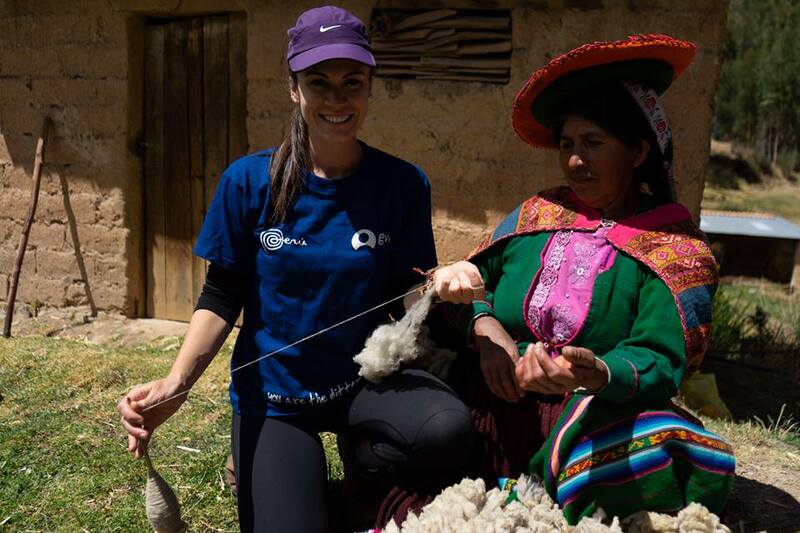 Following orientation, students will participate in a variety of activities promoting responsible tourism and fair trade, including training by local communities in traditional arts such as weaving and dyeing. Students will also be trained to teach English as a second language, focusing on skills and vocabulary that helps local residents expand their economic opportunities. A comprehensive orientation program, including health and safety training, occurs immediately upon arrival. To enable students to acclimate to the high altitude, less strenuous physical activities will be planned for the first three days. Students will begin Spanish language lessons during orientation and will continue to improve their Spanish skills via weekly lessons. They will participate in a city tour, visit the Sacsaywaman archeological site and local communities, and participate in a local yoga lesson. 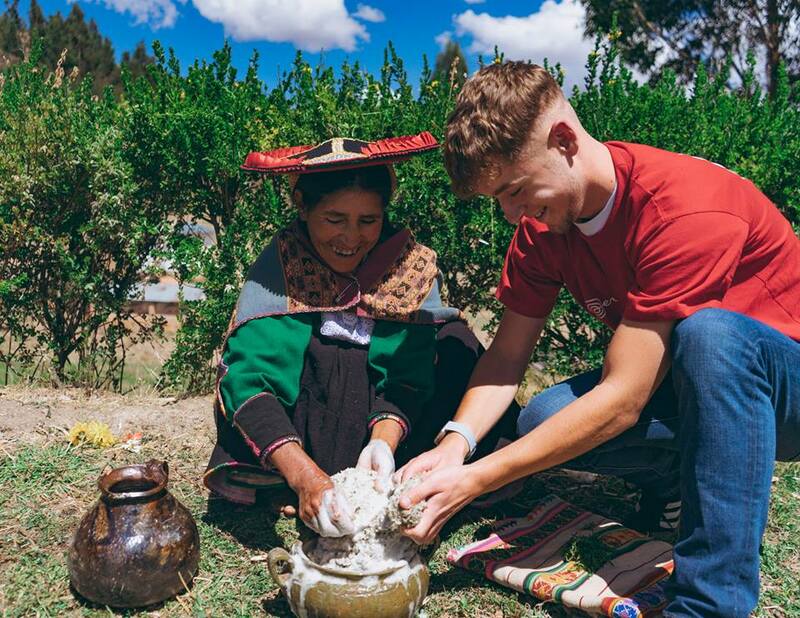 This cultural immersion will help students quickly adapt to their new surroundings and feel more confident about seeking opportunities to interact with local people. A highlight of the program will be a guided tour to Machu Picchu, Peru’s most famous UNESCO World Heritage Site. 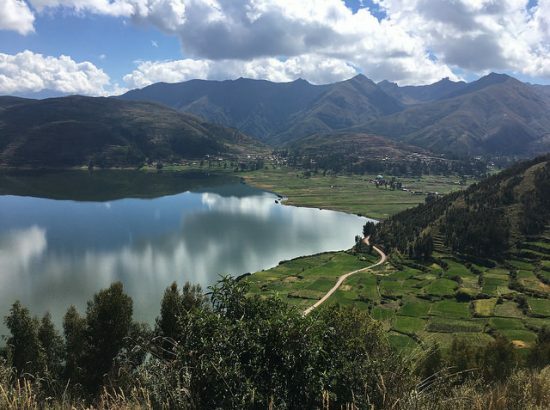 To learn about local and global conservation issues and contribute to the protection and conservation of natural resources, especially water, in the Cusco region. 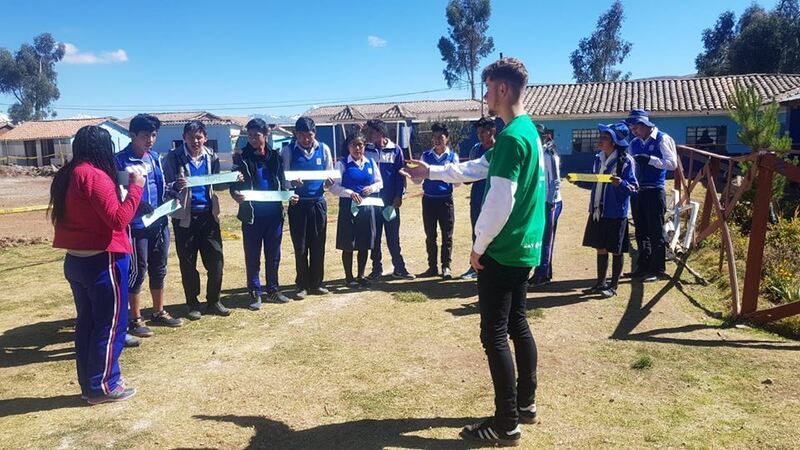 To understand the human impact on the local environment and share that knowledge with local residents by providing environmental education workshops. To understand the local tourism economy and the skills necessary to participate. Students will help local children and adults develop their English skills through language instruction and practice. To learn about and contribute to the preservation of traditional arts and handicrafts, focusing on weaving and textiles. To be familiar with the UN Sustainable Development Goals, to understand the host community’s chosen approach to advancing a subset of the SDGs, and to formulate a plan for how to impact the SDGs in the students’ own communities. To become comfortable working with cultures other than their own, to appreciate the skills, resources, and contributions of people different from themselves, and to understand that there are different perspectives on international issues. GVI is partnering with The Nature Conservancy and the Center for Andean Regional Studies Bartolomé de Las Casas (CBC). GVI programs in Peru immerse students in the local culture and educate them about the socio-cultural, historical, economic, and environmental factors affecting the region. As a non-profit, civil association, CBC has been working on protecting and advocating for indigenous rights since 1974. Under the guidance of CBC and GVI staff, students will participate in constructing green infrastructure projects, promoting responsible tourism and fair trade, increasing participation by local communities in traditional arts such as weaving and dyeing, and helping residents of all ages to improve their English skills and expand their economic opportunities. 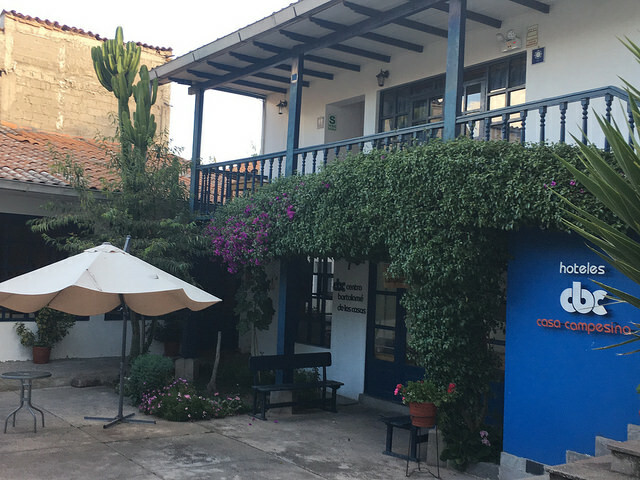 Students may also work on projects with another community partner, the Centro de Textiles Tradicionales del Cusco (CTTC). This organization partners with local communities to teach traditional weaving and dyeing. The resulting products are considered to be the highest level of weaving in Cusco and are quite expensive. Students may assist in expanding CTTC’s outreach and marketing for these products or by upgrading CTTC’s community weaving centers. 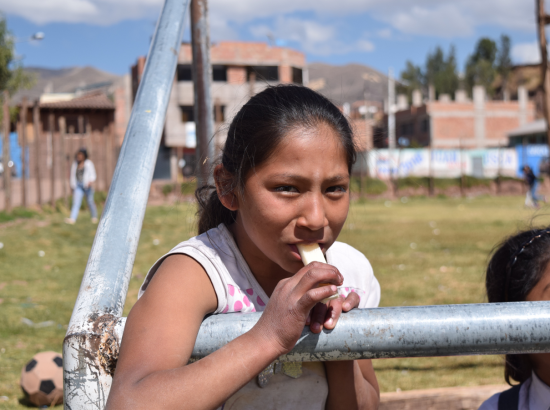 Students will work together throughout their time in Peru and will travel to project sites together with at least one GVI staff member at all times. Project work and locations are based on the needs and requests of long-term local partners as described above, and specific service projects will be finalized closer to the date of departure. 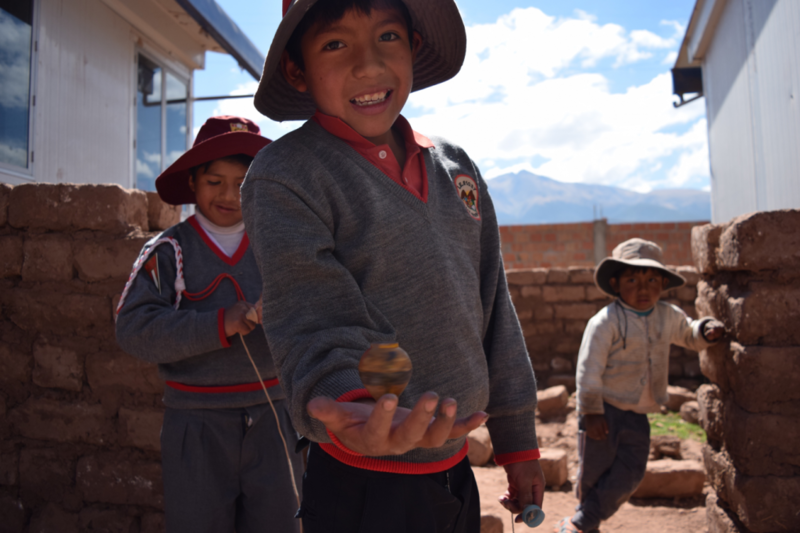 In general, students will typically spend 3-6 hours at each project site during the week, with additional time spent preparing to deliver workshops, participating in guest lectures and reflection sessions, and practicing their Spanish (or Quechua) language skills. Participating in weaving sessions and initiatives designed to promote traditional arts in communities and schools. Students typically have some free time during the evening, and weekends are somewhat flexible since there is usually no scheduled project work. Students may need to use some weekends to plan for upcoming service work. Enrichment activities will be scheduled on weekends and students will be encouraged to use their free time to explore the town and get to know the local area. 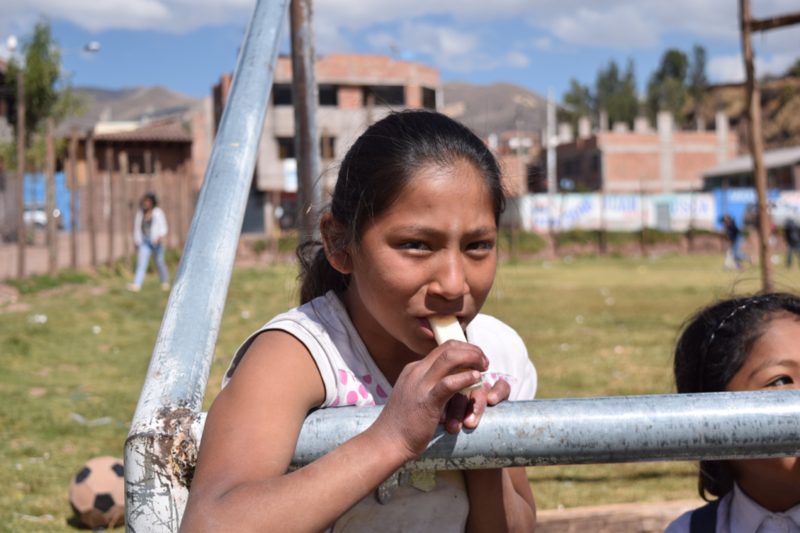 GVI Peru works closely with its local partners so there are plenty of opportunities for students to interact with local people, students, volunteers, and professionals. 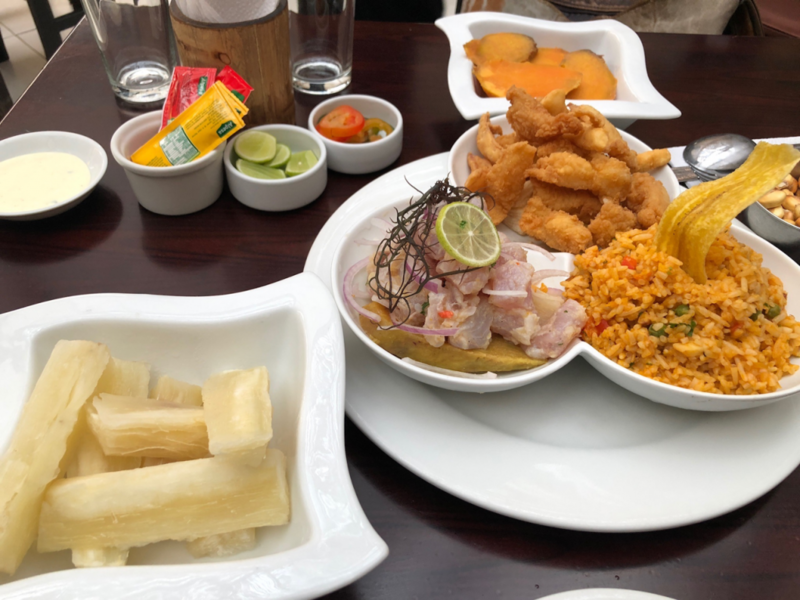 Students are also encouraged to explore local shops and restaurants in pairs and small groups so that they can more easily interact with Cusco’s inhabitants and become more immersed in the local culture. Participants will work together as a group or in smaller groups. The majority of the program involves working outdoors on a number of different initiatives. Students should be prepared to walk on a daily basis and to experience some adjustment during their acclimation to the high altitude. Hours of service work vary depending on the activity, but students can expect to work up to 6 hours per day between the hours of 6am and 6pm with additional time spent planning for future workdays. Language Requirements: All students must have proficiency in the English language. A basic understanding of Spanish is helpful. All students will participate in an intense Spanish workshop during orientation. Students who do not speak Spanish fluently are required to participate in weekly Spanish lessons. Coursework Requirements: None required, however courses on water conservation, managing environmental resources, community development, Spanish language, teaching English, economic and market development, engineering, or organic agriculture will be a plus. Other Skills: No previous experience or qualifications in the field of conservation, community development, or education are required to join this program. An interest in understanding the issues threatening water supplies and promoting traditional arts and familiarity with responsible tourism and/or fair trade policies is desirable. All students must be able to understand health and safety protocols as well as project specific training from our field staff. Students should be aware of the high altitude in Peru. Self-reliance and self-confidence: understands and meets their own physical and emotional needs in new environments with an age-appropriate mixture of optimism and realism; must be flexible in response to the needs of the community. Coursework on international development, water conservation, urban planning, education, Spanish and/or Quechua languages, traditional arts and sustainable agriculture could all be beneficial. Description of Community: Students will be based in Cusco and will work with a variety of communities in the more rural area outside the city. This close-knit community welcomes GVI volunteers, and although many families live simple lives, there is no shortage of kindness or happiness. There are a variety of local restaurants, shops selling local handicrafts and produce, internet cafes, and attractions. Housing and Meals: Accommodation will be in a homestay-style hotel with three to four students per room. Each room is equipped with an en-suite bathroom with western style toilets. The hotel has electricity and hot water showers and is located in downtown Cusco, close to many amenities. Students can choose to have their laundry cleaned by a local service for a minimal price or wash it by hand. All meals will be provided because cooking facilities are limited. Breakfast will be served at the accommodation while lunch will be provided on project and will include local foods. Dinners will sometimes be provided at the accommodation and sometimes take place at local cafes and restaurants, which helps to support the local community and provides variety for participants. 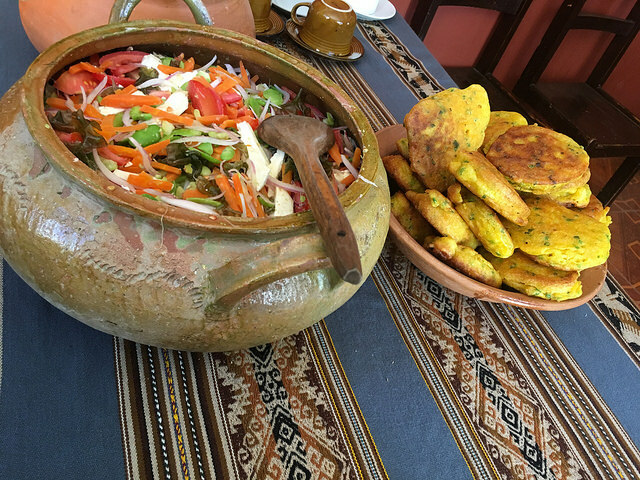 A range of food choices is available, including both local and western cuisine. If you do not eat certain types of food for cultural, religious, or personal reasons, please contact the DukeEngage office, dukeengage@duke.edu, to discuss whether or not your dietary needs can be reasonably accommodated at this program site. Transportation: DukeEngage provides transportation to and from service placements and all scheduled program activities. GVI staff will meet students at Alejandro Velasco Astete International Airport, Cusco (CUZ), Peru, and transport them to their accommodations. At the completion of the program, GVI staff will also accompany students back to the airport. Students will walk to project sites or be transported in a charter minivan depending upon the location and distance. Transportation to enrichment activities will also be by private bus or van when not within walking distance of student accommodations. Communication: Students will be provided with a basic local cell phone for program-related and emergency communication. There will be free access to Wi-Fi at the accommodation and most cafes and restaurants also have Wi-Fi. In some communities where project work takes place, Wi-Fi and telephone signals will be limited. Opportunities for Reflection: GVI staff will facilitate a regular schedule of reflection sessions. This can take the form of discussion topics, informal debates, or sharing thoughts on the day. The reflection sessions may also include written reflections, choosing a photo to represent their experiences of the day, or posing a list of questions for further exploration. Reflection prompts may include various current events or challenges in Peru and Latin America, the UN Sustainable Development Goals related to GVI’s work, local cultural topics, and/or other themes related to students’ experiences in Cusco. Other Opportunities: Service projects usually run from Monday to Friday each week, however, some activities might take place on the weekends. The evenings, as well as some weekends, are mostly free time. 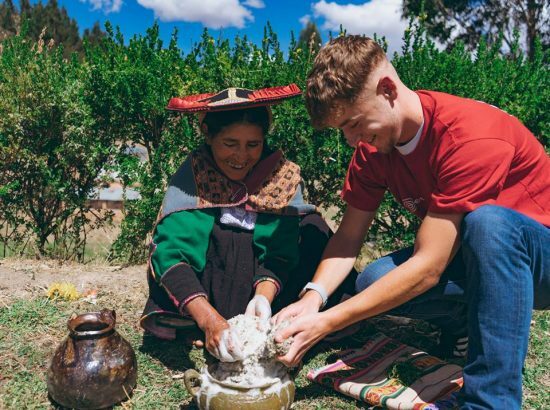 Enrichment activities organized by the program may include a visit to the Sacsaywaman archeological site, a Cusco city tour, visits to local communities to learn about traditional Andean textiles, medicine, pottery or cuisine, and a yoga lesson. Weekly Spanish conversation lessons are included. A highlight of the program is a guided tour of Machu Picchu. Criminal Background Checks: To ensure the safety of the children and communities with whom we work, all accepted participants will be required to submit a criminal background check no later than 2 weeks before their program start date. Should this document not be submitted before arrival in the field, the student/students will not be allowed to participate in community projects. All students will take part in a 6-week leadership training workshop. With assistance from GVI staff, small teams of students will be in charge of arranging a leadership project for their peers. Suggested Readings: GVI staff will provide training on the skills required to complete the service projects, but volunteers will benefit from learning more about local history, culture, and customs before departure. 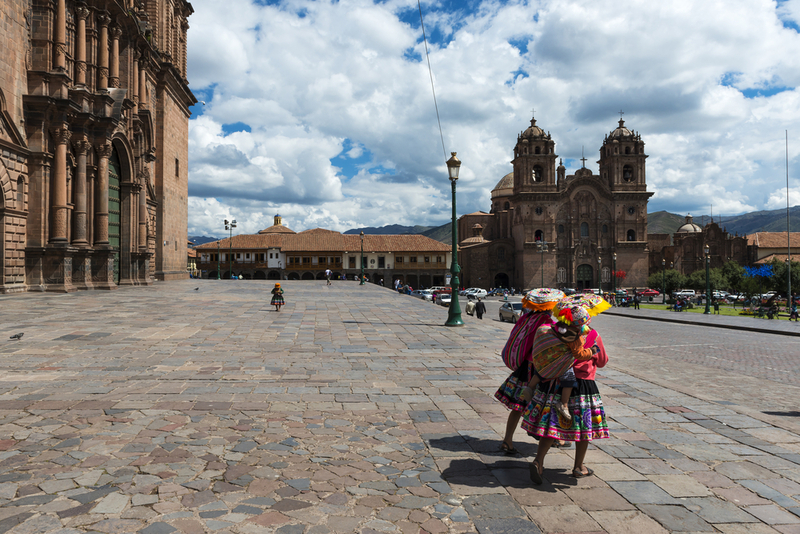 GVI will provide a list of articles, books, videos and films that students may use to learn about Cusco and Peru prior to departure.